At 21 years old (soon to be 22) Karl Anthony Towns is already one of the top 20 players in the NBA and shows all of the ability, work ethic and mentality to be one of the truly special players in this league. He was the player that received the most All-NBA votes last season without making a team and is primed for more national attention and appreciation this season as the improved T’Wolves seem poised to make their first postseason appearance since 2004. Towns doesn’t just want or believe that he can be a superstar in the league though, he thinks he will become its best player. “My confidence has always been so high. I felt coming into the league I could be that easily,” Towns said this week after practice at the University of California, San Diego. “I always knew it was just a matter of time. “But before I was even drafted, I felt that I had that ability, faith and confidence in myself to do that regardless to what team I’m with. I’m very blessed to be with the Timberwolves, because with them I’ve expedited that process a lot…. Towns is one of the few young talents in the league where this feels like a realistic possibility. Once the current stars in the league such as LeBron James, Kevin Durant and Steph Curry to name a few, are officially beyond their primes, in my view there are three guys who may be poised to take over that mantle: Towns, Giannis Antetokounmpo and Anthony Davis. Towns may be the least athletic of the three (he is still a great athlete) but he may be the most skilled and his game may translate better than the other two when he starts to lose some of the his athletic gifts. 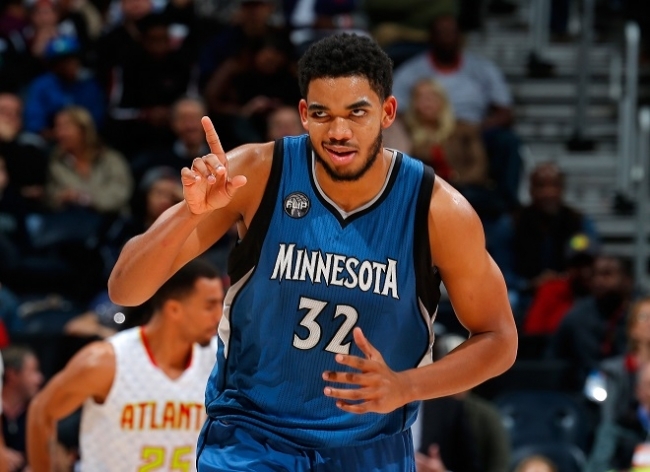 Could Towns be the next generation’s Tim Duncan? He is one the young big man in the league where that feels like a real possibility. It’s time to start becoming a winning basketball player this season though.